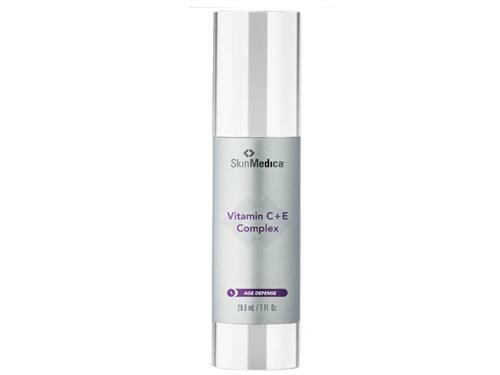 Brighten skin with SkinMedica Vitamin C and E Complex. Vitamins are extremely beneficial for the complexion because they help create healthier and more radiant skin. 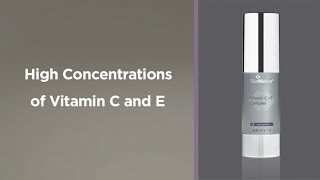 SkinMedica Vitamin C and E Complex contains two of the most powerful and beneficial vitamins: C and E. Both of these ingredients defend against free radical damage that causes signs of aging including fine lines, wrinkles and dark spots. The ingredients are time-released so your skin stays protected all day long. The formula also supports collagen production to create a plumper and firmer appearance. Using this antioxidant serum daily will create a more even tone and leave your complexion brighter and more radiant. Maintain a youthful complexion by applying SkinMedica Vitamin C and E Complex daily to defend against free radical damage. Tell us your thoughts about SkinMedica Vitamin C+E Complex and receive 50 rewards points! Absorbs nicely and makes my skin feel soft. I would buy again. I wanted to love this because of how great so many SkinMedica products are, but I still prefer a C serum opposed to this product. It has more of a silicone/primer feel to it and even with that, I find my makeup still pills when layered on top. I love this product! The only reason I don't give it 5 stars is because of the price. If you can get it during a sale, go for it. Or, if money isn't an issue, go for it. Or, if you just really do need an outstanding product, then take the plunge. This goes on silky smooth and definitely supports aging skin. It clarifies and with time, erases the smaller wrinkles. It might work on the deeper wrinkles, too, I just can't be certain. I will purchase this product again when it goes on sale. This made me skin feel so smooth and in turn my makeup looked flawless! It does tingle a little especially on exfoliated skin however I don't think I can be without this product. My skin tone appears to be more even. Would recommend. SkinMedica Vitamin C + E Complex feels very dry when I put it onto my face. Then in a minute, it feels okay. Vitamins C, E, and others are extremely important inside your body I hope this works well enough outside the body to vanish the lines I absolutely hate on my face! Research tells us that removing face lines takes many weeks, so I will continue to use this and hope that it works well. I have only used this for a few weeks, so no huge skin changes yet. However, it does not make me break out. It has a matte, silk finish. You do not want to use too much. One pump is plenty to spread all over face. Very mattifying, which is great for oily skin! I've used this product for over a year, and I can tell an improvement in the feel and look of my skin. My face feels smoother and my skin tone is more even. I'm 55 with medium complexion and am out in the sun quite often. This product seems to help keeping my skin youthful. Highly recommend. This is the best vitamin C product I have found! The texture just melts into your skin with no greasy feel. It makes my skin glow and look so rosy and healthy! I also use the retinol product by the same brand. I have used other vitamin C products, but I really like the way this product goes on and how it feels on my face. I use it and then the TNS essential serum and the sunscreen, and it is a good combination. 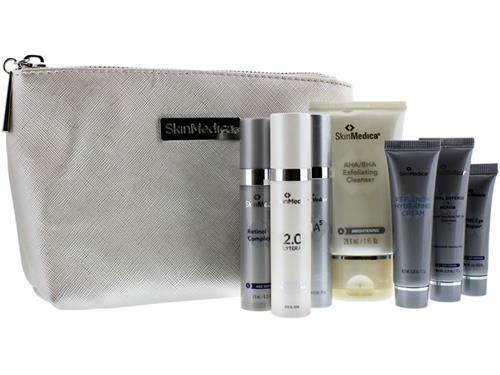 I love SkinMedica products. I love this Vit C&E complex! It has a little tingle to it, and I can really feel it working. Face is definitely brightened, and now, I can't live without a Vit C on my face in the morning! I have tried other vitamin C serums, and I always return to this product. It goes on smoothly. Absorbs nicely. No unpleasant smell and the vitamin E is a bonus! I do like the SkinMedica Vitamin C+E Complex. I have to use it every other day because it does dry out my skin, but it is winter now so my skin is always dry in the winter months. I’m sure once summer comes I’ll be able to use it every day. The product goes on very smooth and you only need one pump. My skin does look brighter since I’ve started using it. I would definitely repurchase. This vitamin C seems to be doing the job. It is comfortable on my skin and seems to be brightening my skin. I also use the SkinMedica Retinol .5 and Revision DEJ eye cream. Works well. Not greasy. Love all SkinMedica products. This C&E light lotion is light and non-greasy, easy to apply under other products. I like the product a lot but don't like the expensive, non-environmentally friendly packaging. The product is worth the price, don't need the waste to make it look expensive. This is the best combination of Vitamin C and E that I have tried. It goes on SO smoothly and makes my skin feel super soft. I use this product every morning prior to applying my moisturizer and foundation. This is a must for me under my makeup. I received samples of this product over the summer and fall and liked how my skin felt when I used them regularly. A little goes a long way. 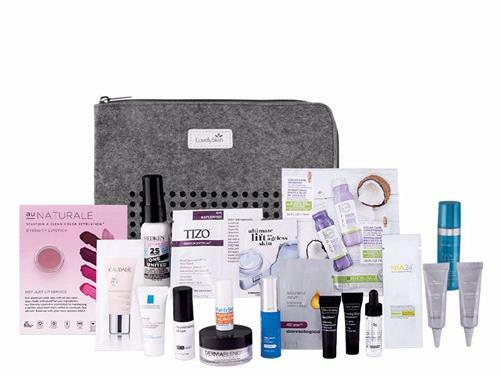 Just ordered the full size when LovelySkin had a great sale on SkinMedica products. I really notice a difference when I use C&E with the TNS Essential Serum. Another great product by SkinMedica. It feels great on the skin. I apply it in the morning and follow with sunblock. After only a week, I noticed how much my skin cleared. Definitely a permanent addition to my skin routine. This is a wonderful product. It has helped with fine lines and dark spots. I highly recommend.